Janet Jackson is said to be pregnant with her first child. A source shared the news to Entertainment Tonight, but the pop singer is yet to publicly confirm it. The star – who turns 50 on May 16 – postponed her Unbreakable tour last month to start a family with husband Wissam Al Mana. ‘We’re in the second leg of the tour and there actually has been a sudden change,’ she told her fans via a video posted to Twitter on April 6. A source told E! News that the singer is in the second trimester of pregnancy, adding the couple had been working with a fertility specialist in a bid to have a child. USC fertility specialist Dr. Kristin Bendikson told CBS Los Angeles that it was most likely Janet would have undergone in vitro fertilization (IVF) but wouldn’t have used her own eggs. The news followed two previous postponed dates. On Christmas Eve, she announced a delay in her North American tour, saying that she needed an urgent operation, and gave no other clarification other than to deny rumors she had cancer. She later called off a European tour and had been due to resume performances on May 14 in Las Vegas. Jackson secretly married retailing tycoon Al Mana, 41, in 2012, but didn’t confirm they’d wed until early 2013. Back in 2013, it was reported the couple had been looking into adopting a child from a developing country. The singer has been married three times, to James DeBarge as a teenager and to choreographer René Elizond, which ended in divorce in 2000. 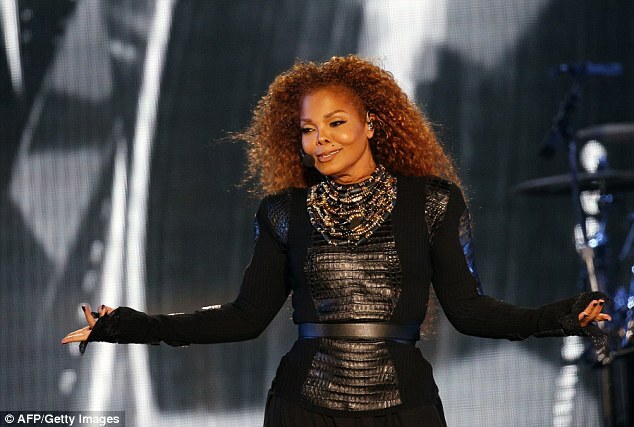 Jackson last year released Unbreakable, her first album since the 2009 death of her brother, Michael Jackson aged 50. The King of Pop had highly publicised dramas he tried to start a family, eventually having two children with Debbie Rowe – who worked at his dermatologist’s office – and a third child with an undisclosed surrogate.